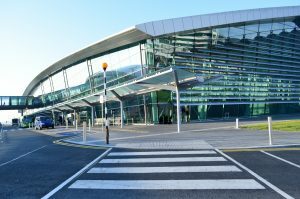 Description: In 2009 Mercury Engineering appointed Fireseal as the fire-stopping contractor in the new Terminal 2 building at Dublin airport. The contract consisted of firestopping compartment walls and floors throughout the new terminal. Towards the end of the contract Fireseal had in excess of 12 operatives on the project in order to ensure the programme kept to schedule.